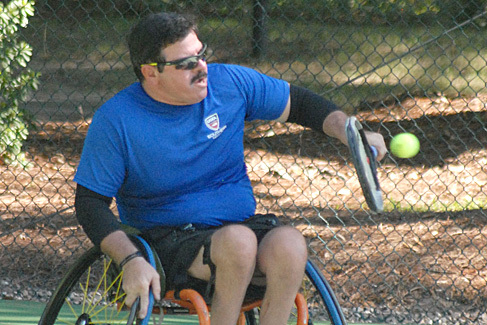 USTA Southern has long been a leader in the growth of wheelchair tennis. The first tournament was held in Atlanta in 1983. The following year the tournament was taken over by ALTA, the largest individual tennis association within the United States. In 1984 Nashville, TN and Natchez, MS held tournaments and in 1985 the Roho/PTR was introduced. These tournaments continue today and are sanctioned by the International Tennis Federation as well as the USTA and remain the top tournaments in the Section. The staff at USTA Southern, wheelchair committee members, state coordinators, teaching pros and the many volunteers have been responsible for the success of tournaments and programs the Southern Section now enjoys. See our photo gallery from the 2018 Wheelchair Team Tennis Event. The Rome Tennis Center will once again welcomed the world’s top ITF and USTA players to the ITF Georgia Open. Matches were played in mid-March. All players will be shown our renowned southern hospitality with player gifts, catering by some of Rome’s award winning restaurants, a fun player’s party to cap off the weekend, and more! Shingo Kunieda won the men's open title. Diede de Groot won the women's title. Davod Wagmer captured the quad title. For more information, click here. Come join us for the 30th anniversary tournament: ITF Super Series and USTA National Category 1 event. We look forward to hosting you and serving up some of the best food, amenities, and tennis! Tournament runs March 19-24 in Baton Rouge, LA. Here is the link to the tournament. 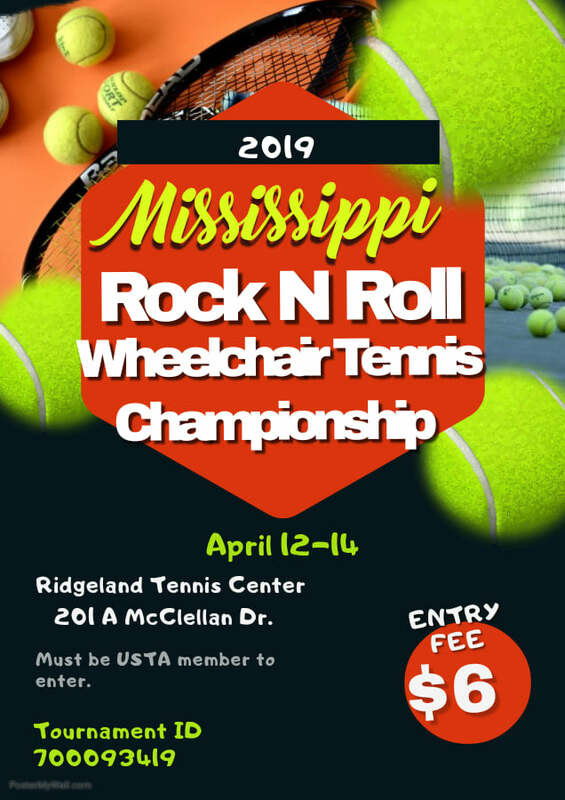 This tournament will be on April 12-14 and will be played at the Ridgeland Tennis Center in Ridgeland, MS. There is a $6 entry fee to this tournament. Meals will be provided. For more info, please can contact Robbie Sullivan. Click here for the tournament page.